To mark Sibelius’s 150th anniversary year the Lahti Symphony Orchestra initiated in 2015 a project – a contribution to the efforts to reduce the pace of global climate change – by gradually making the orchestra’s activities carbon-neutral. Behind the project is Myrskyvaroitus – Storm Warning Association, and the project was carried out in collaboration with the Lahti-based Environmental Technology unit of the Lappeenranta University of Technology (LUT). The Lahti Symphony Orchestra is taking the lead as an environmentally responsible artistic organization by adopting carbon neutrality as one of its operational objectives. The orchestra’s general manager Teemu Kirjonen sees the orchestra’s climate project as a natural part of the City of Lahti’s environmental strategy, according to which the city is committed to halving per capita greenhouse gas emissions by 2025, compared to 1990 levels. 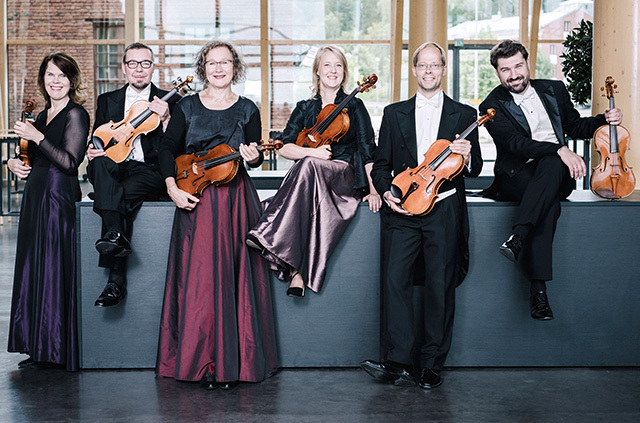 The Lahti Symphony Orchestra’s musicians and administrative staff have been involved in making the decision to launch the project, and in associated brainstorming activities. During the first phase of the project, the orchestra’s carbon footprint was calculated. This calculation is based on a life-cycle assessment, a diploma thesis by the LUT student Pilvi Virolainen. This was undertaken under the guidance of the postdoctoral researcher Ville Uusitalo and supervised by Professor Lassi Linnanen. The work’s primary aims were to identify the orchestra’s principal sources of greenhouse gas emissions, to examine how these could be reduced or compensated for, and to explore the orchestra’s potential to influence its partners to reduce their carbon footprint. In accordance with the results of this research, the orchestra’s activities will be designed to cause minimum damage to the environment. Following the carbon footprint calculation the primary emission loads were carefully reviewed and an action plan was created according to the findings of the calculation. The audience has been engaged in the project with information. According to a survey the Lahti Symphony audience is strongly supporting the orchestra’s initiative. The body behind the project, Myrskyvaroitus – Storm Warning ry, is an organization established in 2013 that actively seeks partners in the areas of culture and the arts in its work to combat climate change. The Carbon-Free Lahti Symphony Orchestra project is promoted by founder members of Storm Warning ry, the communication and event specialist Hannele Eklund M. Phil. and the energy expert Dr Jouni Keronen. In 2017 the Lahti Symphony Orchestra partnered with the UN Framework Convention on Climate Change (UNFCCC) Secretariat’s Climate Neutral Now initiative, in co-operation with the Myrskyvaroitus – Storm Warning ry to enable concert ticket buyers to offset a part of their carbon footprint through a ‘Green Button’ campaign. When buying tickets online via Ticketmaster Finland the customer could make a donation through the Myrskyvaroitus association to UNFCCC’s internationally certified development projects that aim to combat climate change. The campaign would also be made available for other event organizers in the future. The Carbon-Free Lahti Symphony Orchestra is a unique, pioneering undertaking which, hopefully, will encourage other artistic institutions to participate in the reduction of greenhouse gases. The project has already raised international attention; it has been presented e.g. at the Zero Emission Summit in New York in connection of the Climate Week NYC (Sep 2017) and in the program ‘Music Matters’ by BBC Radio 3 (Oct 2017). In May 2018 the project was a winner of the Classical:NEXT Innovation Award.